Our uPVC stable doors can be fully or partly opened, allowing you to ventilate your home while keeping it secure and rewarding you with a truly beautiful design. Give your home the countryside touch with our uPVC stable doors. These functional doors are perfect for animal lovers or simply homeowners who want to give their property in Brighton, East Sussex and the surrounding areas a more rustic design. Whether you live in the countryside or the city, these uPVC stable doors will be perfect for your home. 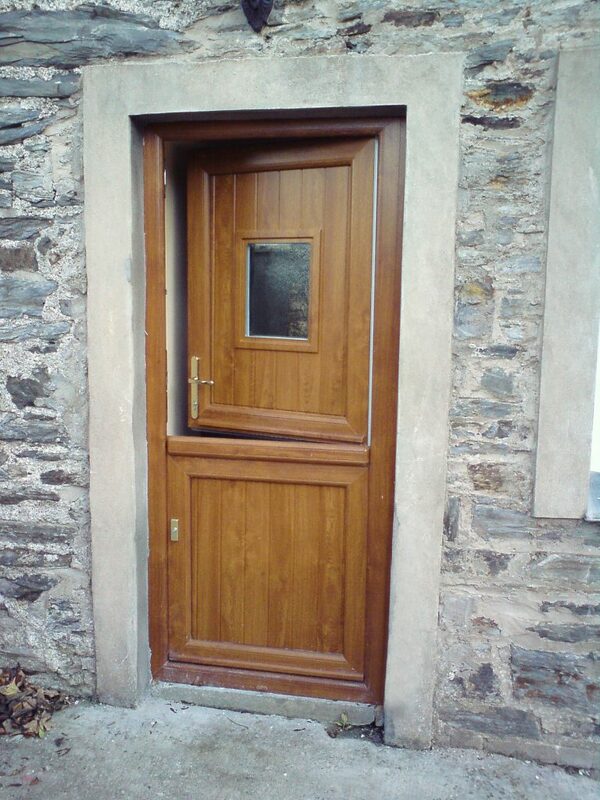 Please contact us for more information about the designs of our uPVC stable doors. With our uPVC stable doors, the choice is in your hands which parts of your door you open up to let the natural light flood into your home. Our wide range of colours also allows you to personalise your uPVC stable door further. Our doors give you the ability to choose premium and bespoke colours for your uPVC stable doors and even the option to choose one colour for the inside and another colour for the outside! For such an interesting design, we knew that we should have an interesting manufacturer. We chose industry leading manufacturer Deceuninck for our uPVC stable doors. Deceuninck has over 80 years of experience designing doors from homes worldwide and will be designing your uPVC stable doors for your home in East Sussex. Their success is reflected in the fact that their products are sold in over 75 countries. We aim to provide our customers with only the best products which is why we have chosen Deceuninck as our manufacturer for our uPVC stable doors. Please contact us for more information about our manufacturer. Our uPVC stable doors not only meet but exceed the standards set by Secured by Design. Secured by Design is a scheme managed by the UK police which sets the standards for the manufacturing of doors and windows for UK homes. These standards are set to protect UK homeowners when purchasing new doors and windows for their properties. Our uPVC stable doors were designed with these standards kept in mind. They are built with multiple safety features including anti-bump and anti-cylinder technology as well as the latest integrated locking system. 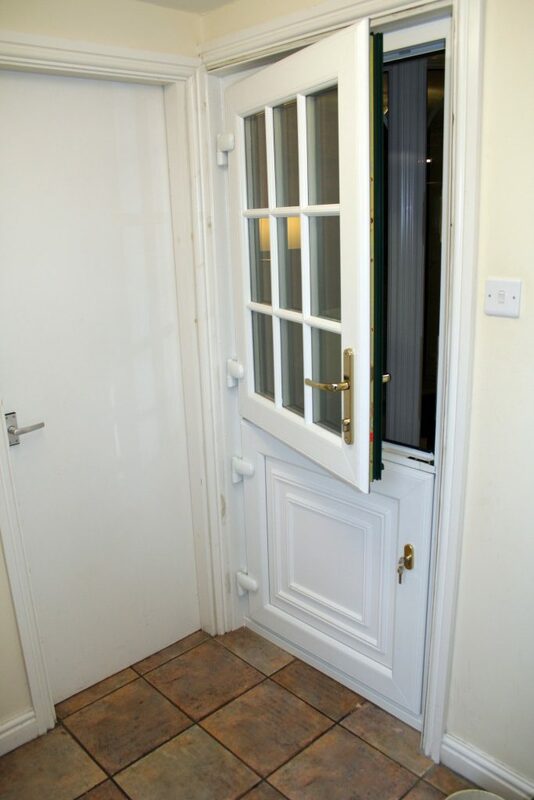 All of our doors are fitted with hinge protectors to ensure resistance to forced entry into your Brighton home. We are extremely proud to be able to inform you that our uPVC stable doors have earnt an A+ rating from BFRC, the industry overseer for energy efficiency. This is due to the innovative technology that our uPVC stable doors are designed with. Our uPVC stable doors will provide excellent insulation to your home in East Sussex. As energy prices continue to increase year on year, it is essential to try and save money in your home wherever you can. By combating draughts and condensation, our uPVC stable doors can increase the comfort in your Brighton home whilst also decreasing your energy bills. If you have any questions about our uPVC stable doors, then please do not hesitate to call us on 01273 676750 to speak to an expert member of our team. Alternatively, please fill in our contact form with your name, email address, phone number and a message to us so that one of our team can get back to you. You can also use our free online design tool to get a quote for your uPVC stable doors. You can use the tool as many times as you like as here at A1 Glass and Glazing, we understand that it is important for you to weigh up your options before landing on a decision. Especially for a product as important as your doors. If you have the time, please take a look at our other products. We can install a wide range of exciting door styles as well as other double glazing and glass services. All of our products have extensive colour options so that you can maintain your personalised colour scheme throughout your property in East Sussex.